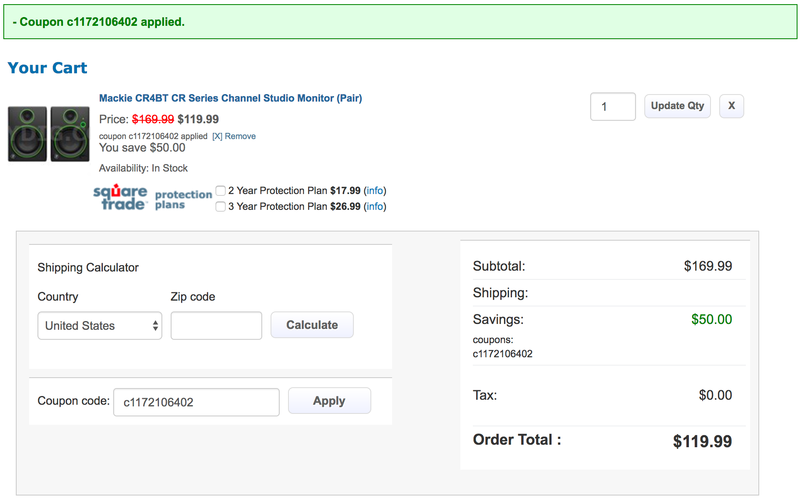 BuyDig is offering the Mackie CR4BT CR Series Channel Studio Monitor Speakers (Pair) for $169.99, but if you use the code c1172106402 the price drops to just $119.99 shipped. That’s $140 off the original listing, $30 less than Amazon and the lowest we can currently find for these Bluetooth monitor speakers. Rated 4.3/5 stars by over 1,000 Amazon shoppers.